Baseball results from last week have left me rather excited because my favourite baseball team, the Los Angeles Dodgers, are playing in the World Series for the first time in 29 years. The last time was in 1988 when they defeated the Oakland A's to win it all. I would like to watch the games but because I live in Great Britain and don't have satellite sports television, I won't be able to. Still, I'll follow as best I can. 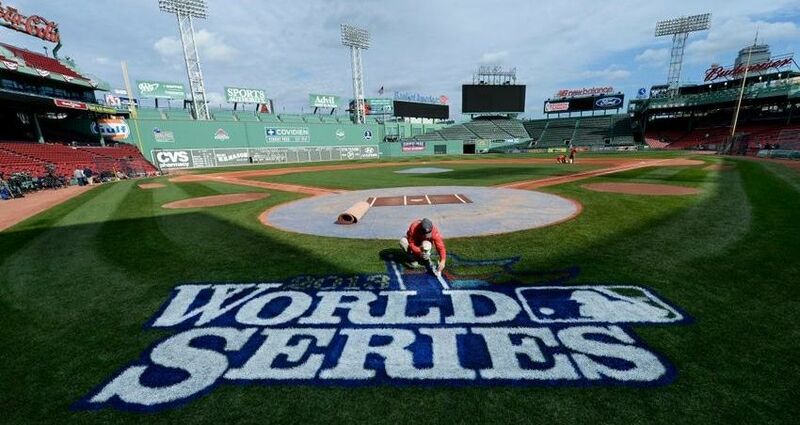 Many people in Britain don't understand why it's called the World Series. After all, unlike the World Cup in soccer, the rest of the world doesn't compete in it, only teams from the US and two Canadian teams. Some British people, mainly those on the political left who hate Americans for the sake of hating Americans, cite the name as proof that Americans think they are the end all and be all. Yes, there are many Americans who think they are but that's not the case here. There are several myths as to how the World Series got it's name. One of the most popular was the belief that the contest was originally sponsored by the New York World newspaper. No evidence to this fact that exists. Some others are perpetrated by naive or arrogant Americans. Two popular ones are: "There are two Canadian teams who can play" and "If the world played in it, the US teams would still win." Maybe so, but some teams would be disadvantaged when some of their Latin American and Japanese players went back to play for their home countries. Simply enough, the World Series name came out of history. Back in the late 1800s and earlier 1900s when the winner of the established National League would play the winner of the fledgling American Association. it was often called the World Championship Series or the Championship of the World. As time progressed, the Championship was taken out and it was shortened to the World Series. Now remember, back then, there was no internet and news from other parts of the world didn't come onto your screen straight away. There weren't any televisions then either so one had to rely on newspapers and by the time a news story about an event in Europe or Asia, was made news in the US and the reverse was true too, it was already old news in the country the story originated in. As far as America was concerned, no one outside of North America played baseball. Therefore, the belief that the winner of the series could rightfully be crowned 'World Champions' had merit at the time. That's all it was. It had nothing to do with American arrogance or imperialism. Why don't they change the name to get in touch with the modern world? I, for one, wouldn't shed a tear if the name was changed to something like the MLB Championship Series or even something twee like the 'Super Series.' However, I don't believe the name will ever be changed. If anyone tried and I think there's a few Britons who might sympathize here, many in America would start screaming "political correctness" and even state that it's somehow ruining the national game. Poke holes in this argument all you want, but no matter, the name 'The World Series' isn't ever going to change. Shameless book plug: I do mention a fictitious World Series in "He Was Weird." At the beginning of the story, when Mark has his first weekend in his new town, he watches the final game between the Baltimore Orioles and Arizona Diamond Backs. I am quite sure those two teams never met in any World Series. So, that's history for you. I'm going to cheer on my Dodgers and maybe have cause to celebrate in baseball for the first time in nine years when my local team, the Philadelphia Phillies won it in 2008. Nov. 10, 2017, 8:46 a.m.
Nov. 2, 2017, 1:09 p.m.